Hotel opens 20th June for summer. 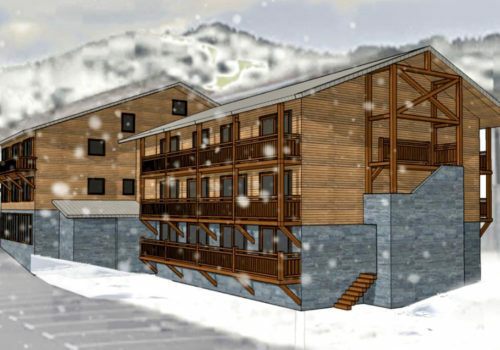 Welcome to the Chamois d’Or, Les Gets’ premier boutique hotel for year-round mountain escapes. 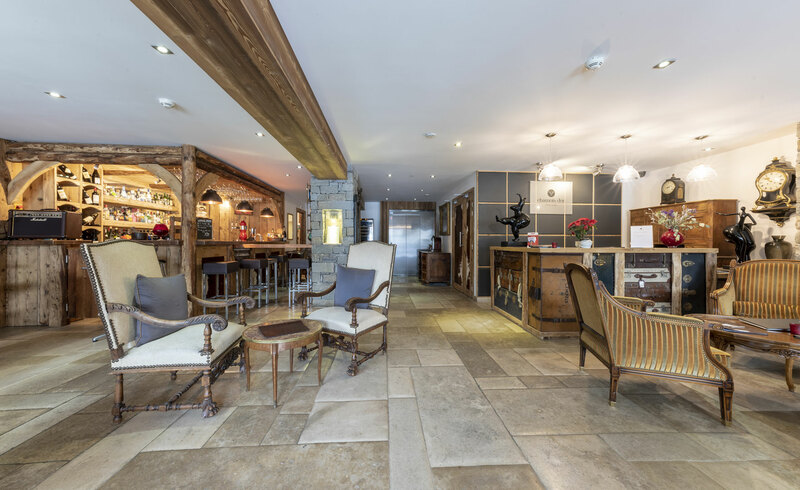 An inviting fusion of alpine comfort and urban chic, our hotel is centrally located in this charming French town at the heart of the Portes du Soleil. Our attentive staff can cater for all tastes and needs; for an intimate getaway, a corporate gathering, or a family break. 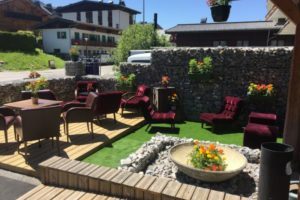 The Chamois d’Or is the perfect refuge for you to relax and unwind, on the doorstep of the French Alps. Les Gets is an ideal destination for winter ski trips and active summer holidays. Retreat to one of our 14 en-suite bedrooms or our luxurious penthouse with four en-suite bedrooms and a fully-equipped living area. The hotel is home to a spa, complete with sauna, steam room and jet pool, with a charming mountain bar. 9 new en-suite rooms with balconies opening December 2019. Some of our rooms will be inter-connecting as our family guests have requested. 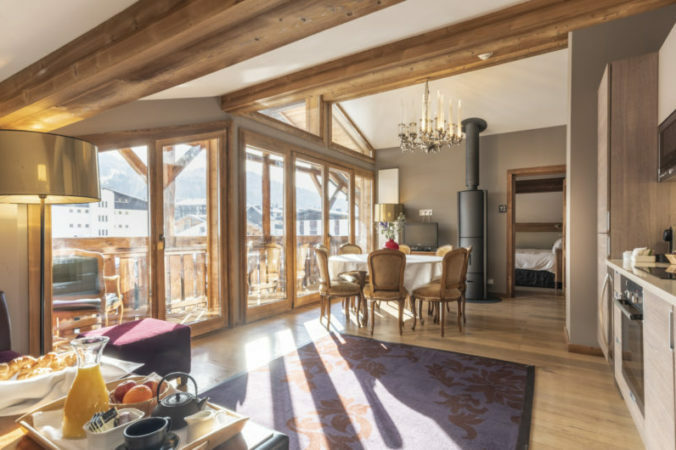 With access to the vast expanse of the 12 ski resorts that make up the Portes du Soleil skiing paradise, Les Gets, only an hour from Geneva airport is the perfect destination for an amazing ski holiday or a last minute ski weekend with your friends and family. The mountains offer a summer of fresh air, sunny days and incomparable scenery. 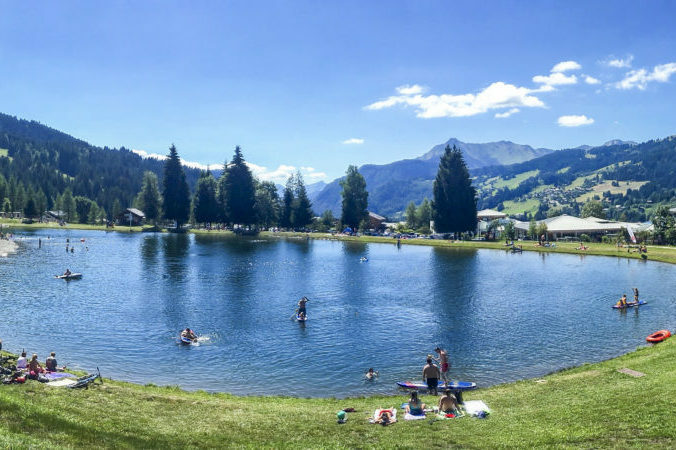 Head to Les Gets for an alpine adventure of hiking, biking, paragliding, watersports, freshwater lake swimming, an amazing 18 hole golf course and discover a different kind of summer holiday.